This week I’m in Richmond visiting family. The Arkansas branch of the family is in town, too, and so the large gatherings around food have been copious. I didn’t see why leaving my kitchen behind in Wisconsin should stop me from contributing, so I went to the grocery store and actually entered the produce section. 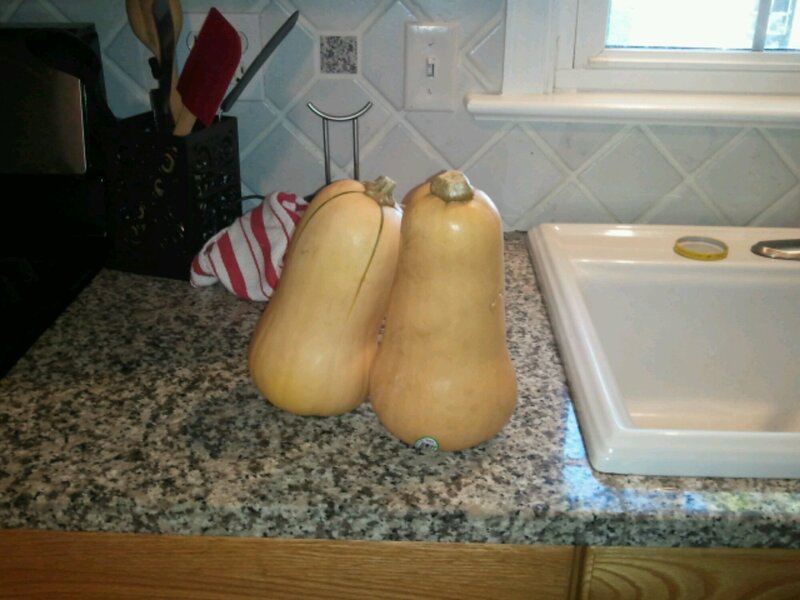 (Don’t tell my roommates, but I bought produce) Pretty, pretty squashes. We picked up two, and I set to work. 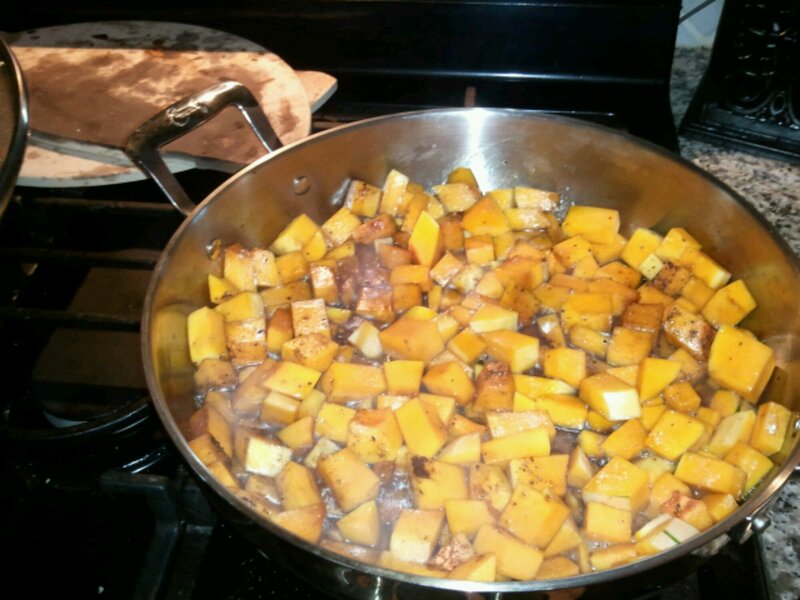 One squash at a time, I threw them in high-sided pan that already had hot oil in it. Then I doused the squash with soy sauce, sprinkled on some all spice, and added chicken stock until the bottom quarter or so of the squash chunks were covered. Slap a lid on that, and let it cook. The pan was a bit overloaded, so I kept an eye on it and stirred, just to make sure things cooked evenly and all the pieces got exposed to all the good bits. 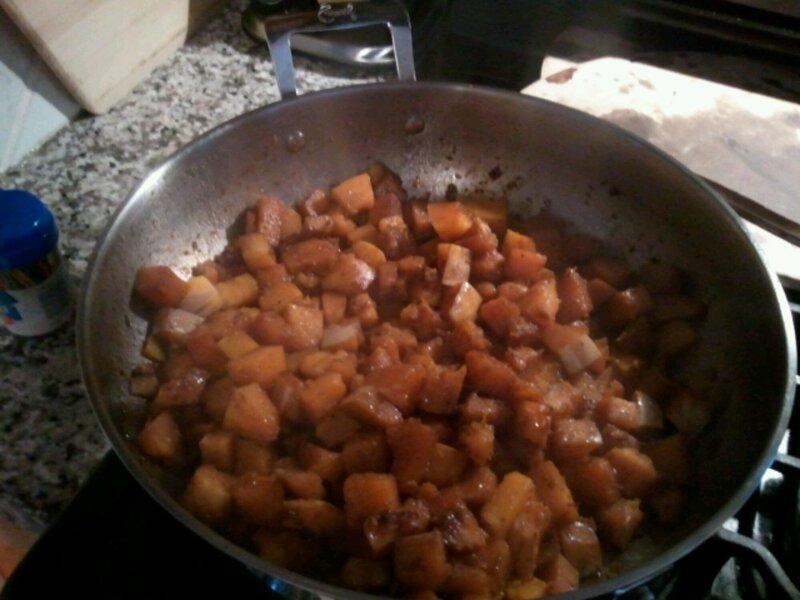 It took about twenty minutes, if even that much time, for the squash to turn into mushy caramelized yum. I hit them with a bit of balsamic vinegar when they were done, then tossed them into a Tupperware container to go over to the gathering and feed the people. The people were pleased.